Derived from the Shaolin Temple, most Kung Fu (gōng​fu) today still bears strong resemblances to the traditional Shaolin Kung Fu style. 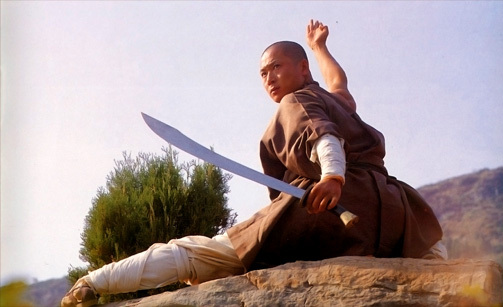 Bei Shaolin (Northern Shaolin) may have been the first branch of a Chinese martial art to branch off from the Shaolin Temple. The result from such spin-offs is a nearly endless series of styles with all their different forms, movements, techniques, and ideas about defense and fighting strategies. At the root of these myriad styles, however, is the original Shaolin Temple Kung Fu which is what is taught at our academy. Kung Fu is surprisingly still little understood in the U.S. While many schools exist, it would be a worthwhile venture for any would-be martial arts student to investigate Kung Fu along with the other styles found at our Academy. Apparently Chinese marketing strategies are not quite as effective in the West as Korean and Japanese have been. As a result, this hides a great many treasures available such as the beautiful, practical, and incredibly powerful martial art of Shaolin Kung Fu. The Shaolin Temple has either created or influenced all Asian martial arts, and more directly influenced all Chinese martial Arts. Modern-day Wushu is a flashy interpretation of Shaolin Kung Fu meant for demonstrations and competitions. 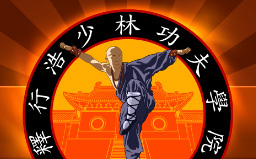 Most Wushu stances, however, are notably low, like Shaolin Kung Fu itself. Wushu is an art that employs similar fast martial-styled movements, with less emphasis on actual impact power and self-defense applications. Modern day Wushu has been called both dance and martial art in one. A quick note on definition: The term “wŭ​shù​” literally translates as “martial/military technique” and is a general term that describes the action of martial arts. Kung Fu, however, is a term that describes any skill that is the result or culmination of much training and practice. It can be used in contexts completely unrelated to martial arts. This ambiguity serves to emphasize the point that a practitioner of kung fu is more than just a martial artist, and that learning this technique will only come as the result of dedication and hard work.